REVITALIZE! 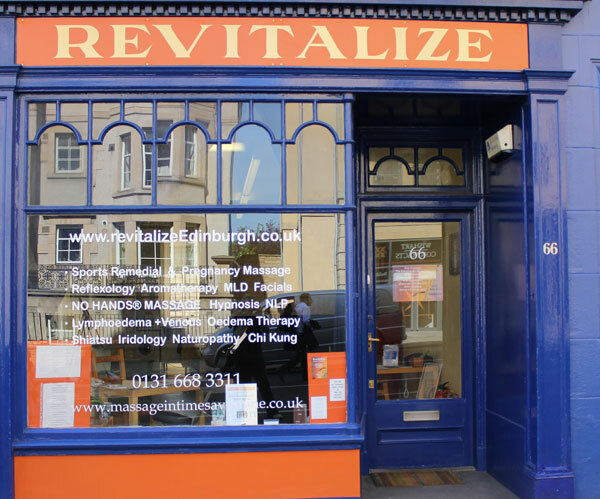 Open their doors on Saturday 26th May from 10 am through to 6 pm to show their visitors exactly what makes them stand out from other clinics in Edinburgh. Offering demos and tasters of 19 different types of massage/treatments for the body and soul. 25% off all treatments booked and paid for on OPEN DAY..
Sore back, sore hip, sore feet, a sore shoulder? THEN don’t leave it another week, another month, another year! Full consultations are carried out before any treatment. IRIS therapists in clinic are specially trained to massage gently and safely to people affected by cancer. University Kings Buildings; on the opposite side of the road and up from Mayfield Church (and just down from Earthy). After 11.30 am (Mon through Fri) there is free parking on the residential streets behind the clinic. Also between 9.15 am and 4.30 pm there is some limited pay-at-machine parking on the street outside.